I've been trying to relax today. Something that's hard for me to do. I didn't work on any major projects, but I found myself playing with vignettes. Here's a simple one I put together with two of my favorite things. Lavender and metal. I've had this timeworn clock face for a while. 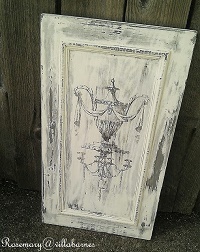 I love the chippy weathered finish. 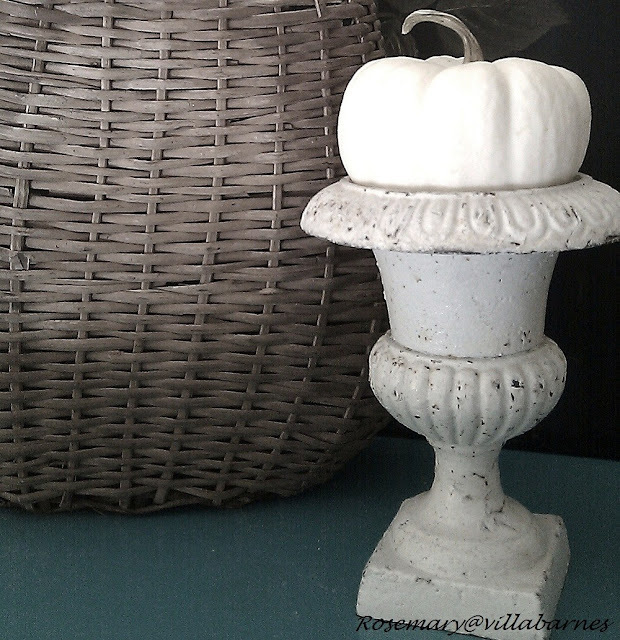 My little urn is not an old one, but I love the shape. It's traveled all over the house, holding everything from pens, to candles. This is what it looked like back in the Fall. 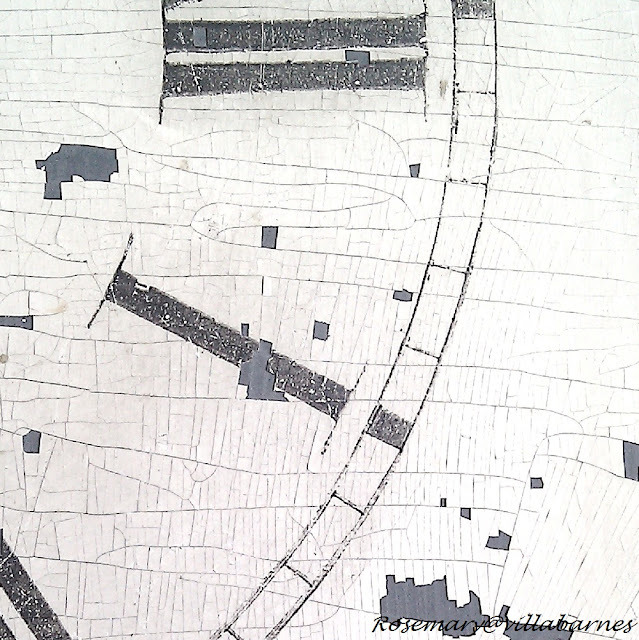 Well, I wanted the urn to look a little more like the clock face. So, I took a razor blade to it, and went over the details with a coarse sanding pad. Throw in a little lavender, and they make a nice little vignette on my bedroom dresser. Relaxing tonight. Hunting, gathering, and redesigning tomorrow. See ya soon. so funny, Rosemary. You are a lot like me...can't really relax and sometimes, I'll just take a razor blade, scissors, butter knife...whatever and rework something! That's such a pretty urn, Rosemary! It looks like a versatile piece,too. You certainly deserve to relax with all the projects you do! Lavender is one of my all time favorites! It's always a winner and the scent can help you relax. I hunted and gathered all day ... felt good to be out with some cash and the trusty ole' workgloves ... you know me and gloves! Whew! I'm glad to hear that you DO know how to kick back and relax, Rosemary! lol! That vignette is just perfect! Lavender rocks! hehehe! Very pretty Rosemary. 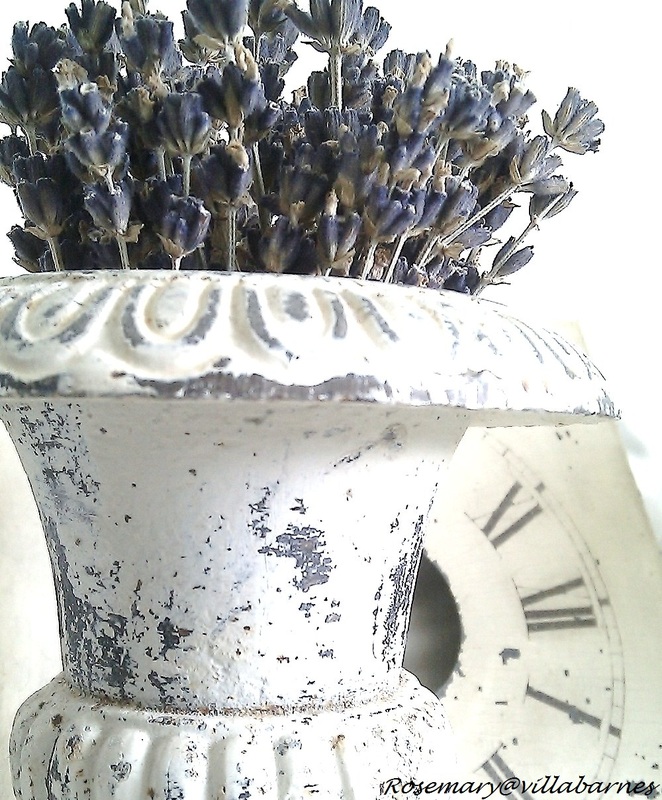 I love having lavender in the bedroom--it makes for sweet dreams! Lavender and metal....verra nice combination, lass! I love lavender, so relaxing. 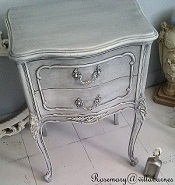 Great design having it in the urn and enjoying in your bedroom. What a lovely combination. Have a nice weekend. So creative and looks great! Thanks so much for stopping by and leaving your lovely comment! Hah~a razor blade? Wow you go at it girl!! Whatever the method, it works! Rosemary you turn everything into a master piece!! LOVE IT! So pretty! 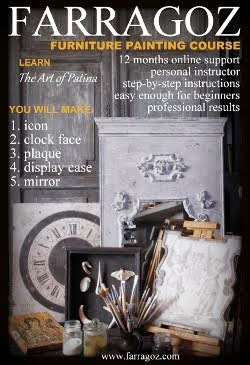 I just saw you featured on Cottage Market and was SO happy for you....you'll be doing a technique book before long! 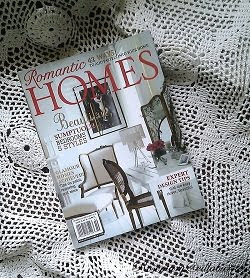 really charming, rosemary:) congrats on your cottage market feature! 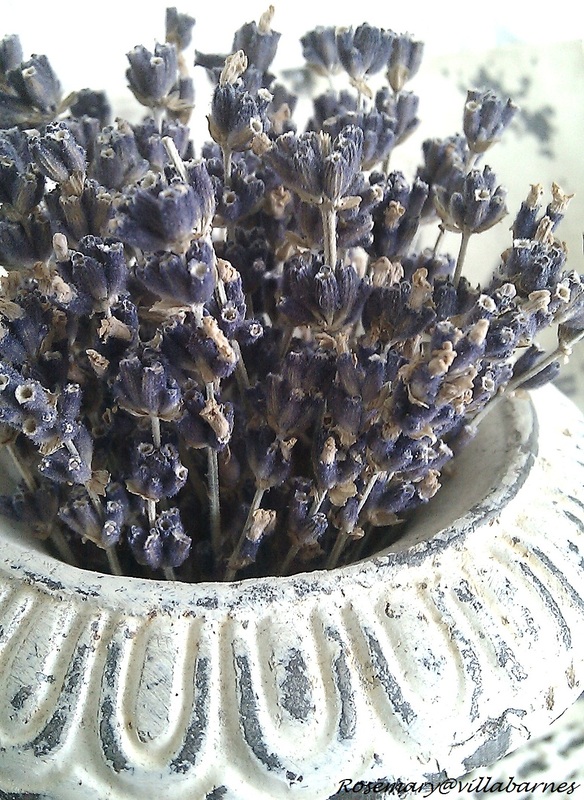 They say lavender does make us relax - and it looks fab too! I am relaxed most of the time, so i try and make my self do something once in awhile. So sad, I used to be such a go getter, and now, I only go when I have to get. Richard from My Old Historic House. 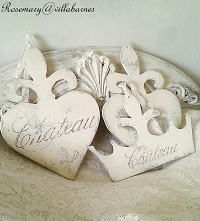 Love that vignette! I like how you distressed the urn. I agree that is a great combination with the lavender. Your post reminds me so much of France. I love the lavender and the urn is devine. 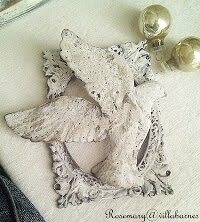 Rosemary you make some of the most beautiful vignettes! beautiful! Happy to have found your blog today. New follower! What a beautiful vignette, Rosemary! 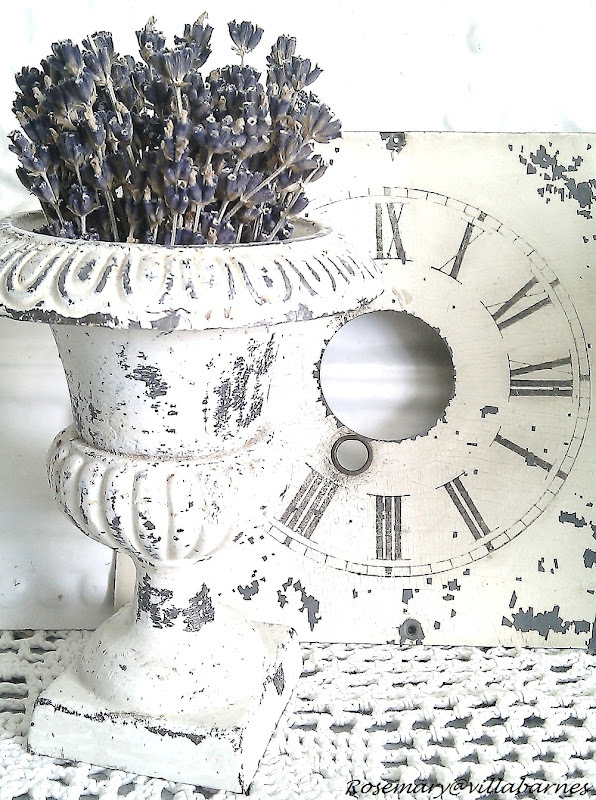 I love urns, and I can almost smell that lavender:) I've got an old clock face that I want to redo one of these days, thanks for the inspiration!! A razor blade! You are so clever Rosemary. 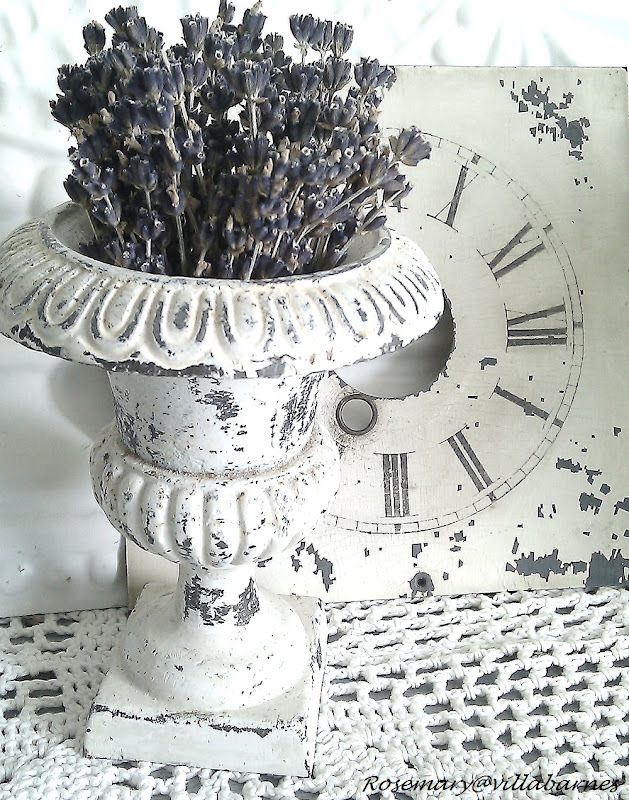 I love how the urn matches the clock's patina now! Ok, now I am relaxed too! We have lots of lavender growing in the back yard. I'm inspired to find a place for it indoors now. Beautiful. Gorgeous! 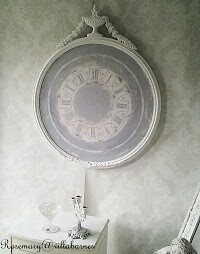 I think I may have to PIN the lavender and clock...just fabulous! I LOVE these photos! They are just gorgeous! !